New services, equipment, or nautical training... Use this blog to find the latest news from Seazen and partners. SeaZen received the 2018 INNOV Tourism Qualification for its solar boat navigation platform from 1 hour. During this contest initiated in the premises of the CCI of Nice last spring, more than 10 Start-ups presented their project before the Jury of Tourism-INNOV. 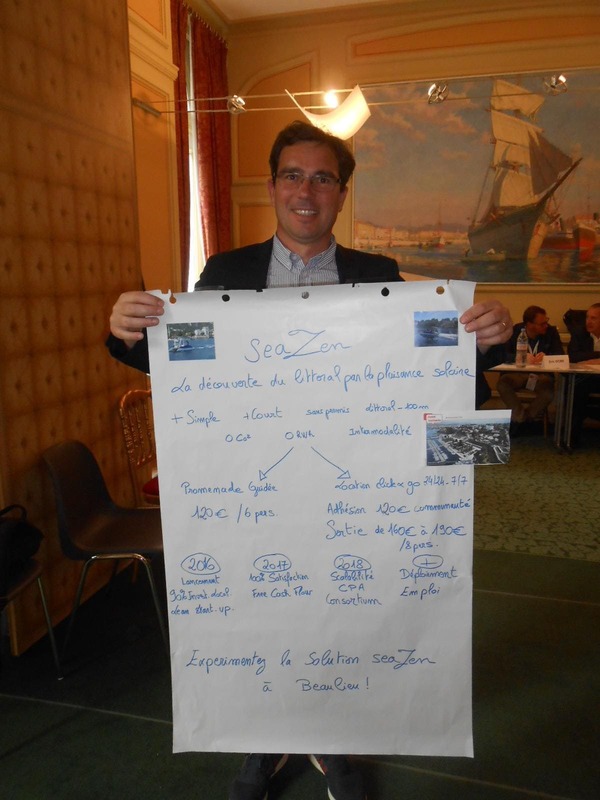 The Jury Composed of personalities of the Tourism, confirmed the interest that represents solar boating for the development of an innovative and responsible tourism on the Côte d'Azur. SeaZen offers sea trips, on a solar boat sailing silent and odorless. Thanks to its solar navigation academy more than 1500 customers have appreciated the comfort of navigation and acclaimed this activity with a satisfaction rate of 100%. Partner of the French Côte d'Azur brand, we are one of the 1000 efficient solutions recognized by the Solar Impulse foundation. Online payments powered by Stripe.